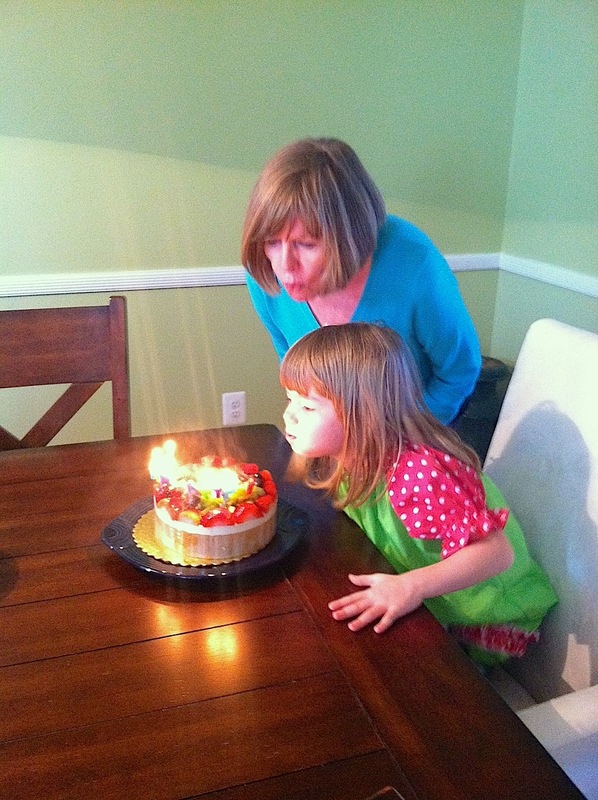 Miss H turned five today and had a blast! 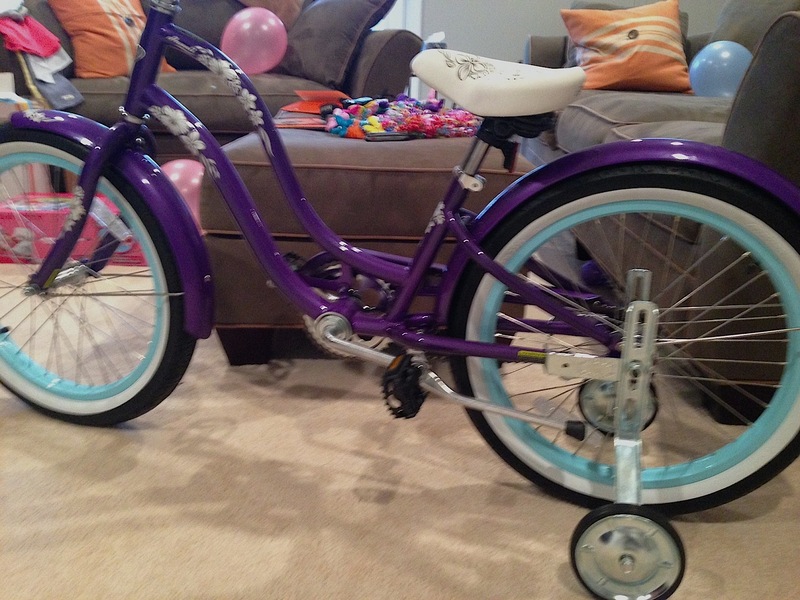 We got her a bike for her birthday and she rode it around all day. 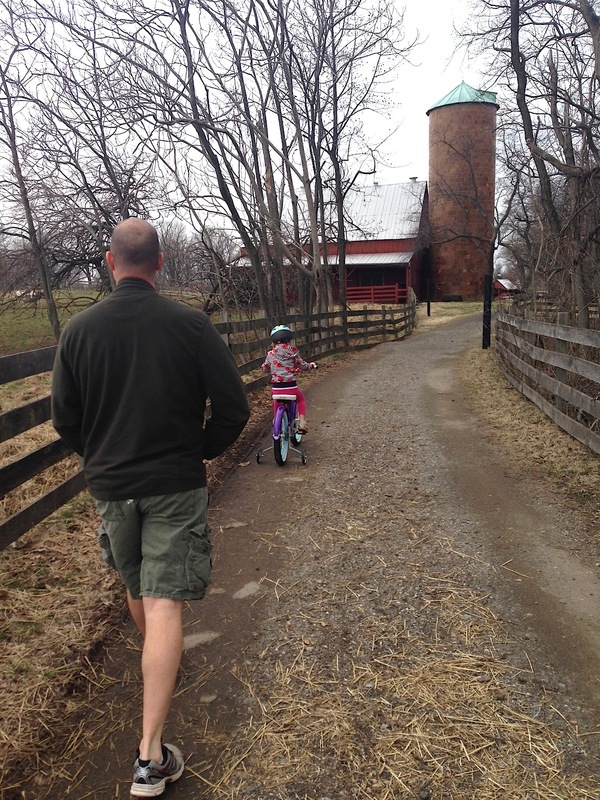 We went to Oxon Hill Farm and took the bike. Then we had yummy strawberry cake (before dinner). Then it was off to dinner. Miss H got spoiled by everyone. Grandma got her a scooter. Grandpa got her the Hello Kitty airplane. 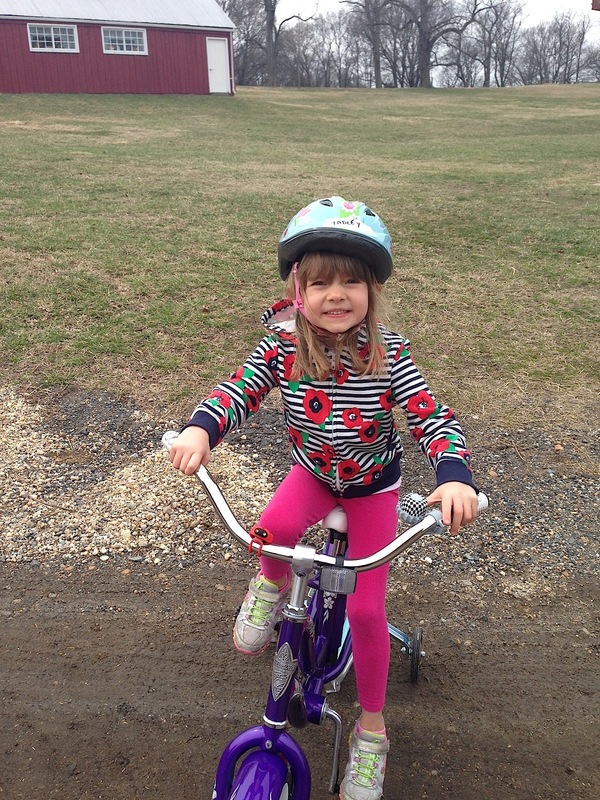 Plus, Dad and Kathy sent her a princess crown and books from their recent trip to San Antonio. It is nice when Mom’s birthday falls on the weekend! 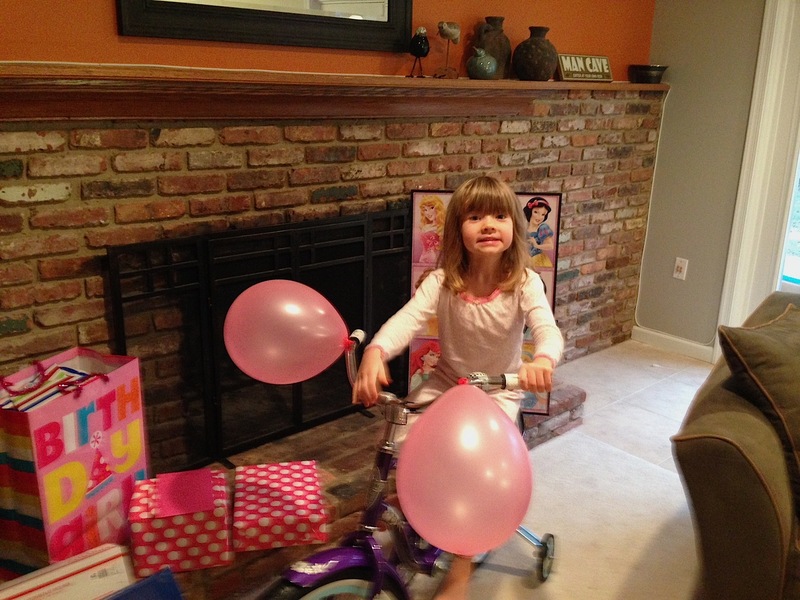 We started off her birthday celebration with presents. I had tried to explain to Miss H that it is really best to not tell people what their gift is but let them unwrap it and be surprised. I continued to explain that we should also let the person who is having the birthday unwrap the gift. Miss H was good with both these theories for about 5 seconds before she blurted out that we got Grandmom a new purse and a cupcake charm for her bracelet and did all the unwrapping. Her enthusiasm was appreciated by everyone. Then, we went for a yummy brunch at Columbia Firehouse and it did not disappoint. I think this is quickly becoming a family favorite. 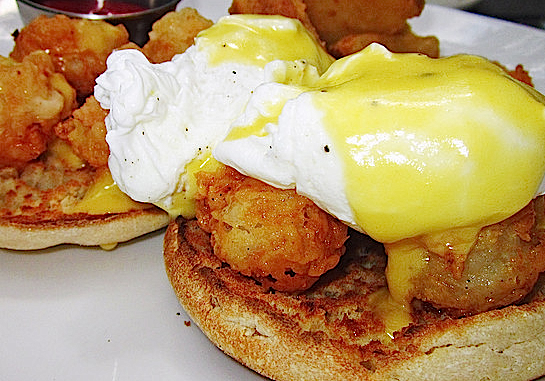 And, Eggs Benedict is one of my favorite meals and this one was piled with shrimp. So good! It was super windy today but we still made our way down towards the Torpedo Factory. 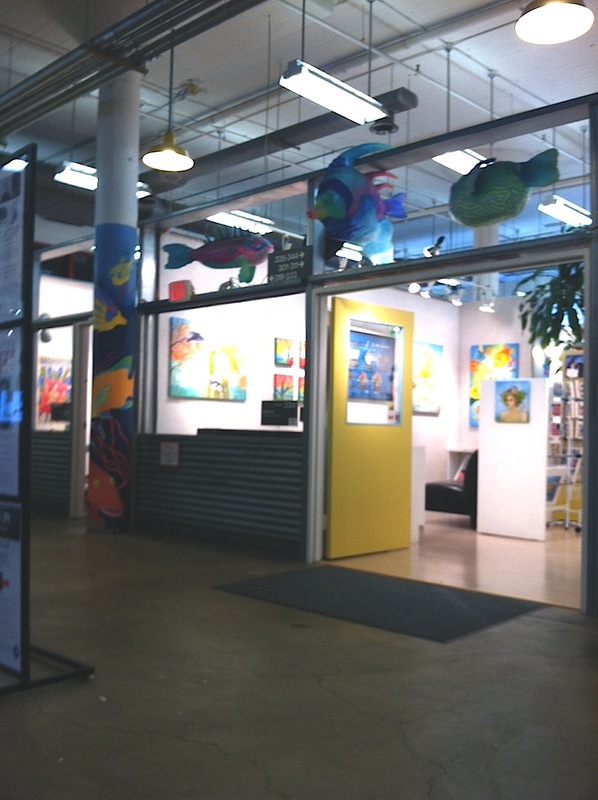 It was nice and toasty inside and we got to see some great art. I am on the hunt for new pictures for our dining room and I think I found some that we would all like! Plus, the artist was super, super nice and gave us lots of suggestions. 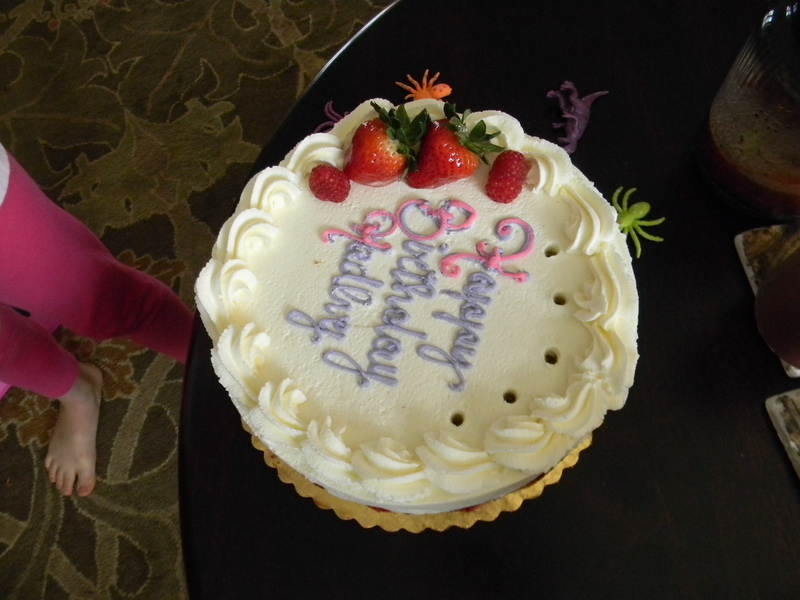 My other favorite location for birthdays is Alexandria Pastry Shop and the cake we got today was delicious. 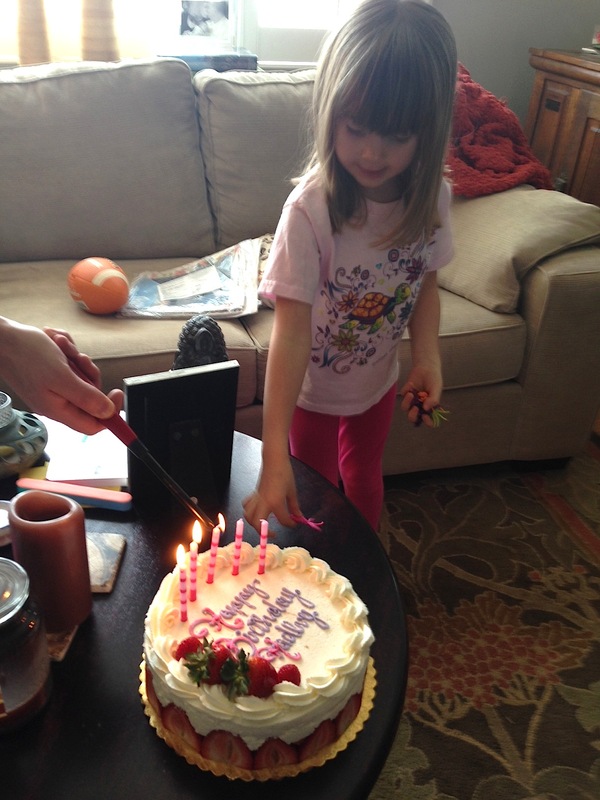 Also, on any birthday, Miss H has to help with the candles. 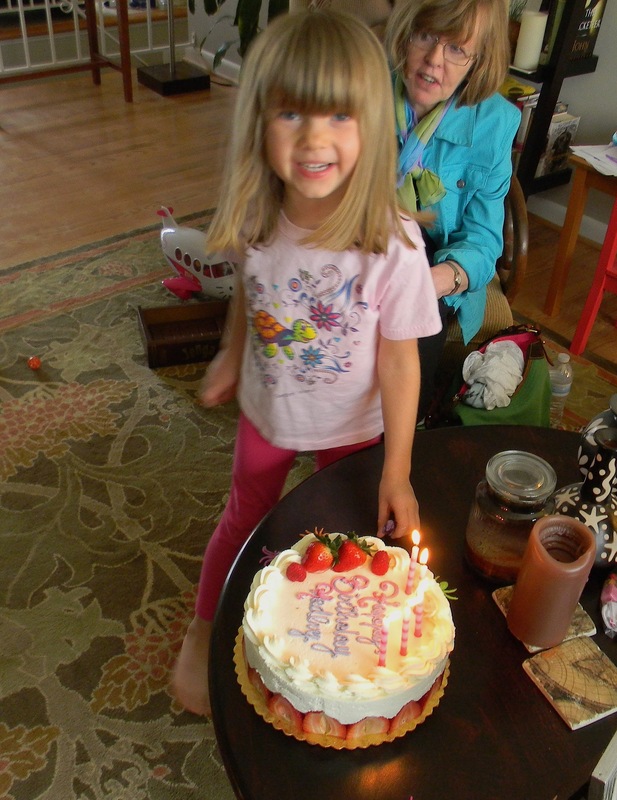 By looking at the pictures you would think it was her birthday. The fruit bavarian cake was huge hit (there is barely any left). So, another great day and birthday! Happy birthday Mom!